Chain blames publicity around food-borne illness incidents for unprecedented revenue drop. DENVER: Chipotle Mexican Grill reported its first drop in revenues since going public in 2006 following negative publicity around food poisoning outbreaks. On Tuesday, the fast-food chain posted $997.5 million in Q4 revenue for the three months to December 31, a decrease of 6.8% compared with the year prior, the first since the company went public in 2006. 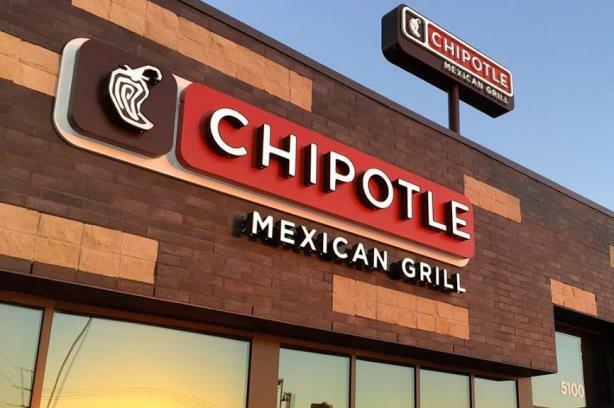 The decrease was largely "due to publicity during the quarter surrounding food-borne illness incidents associated with a number of Chipotle restaurants," which resulted in Q4 restaurant sales dropping 14.6% year on year, according to the earnings report. Net profits dropped 44% to $67.9 million, compared with the previous 12 months. Steve Ells, Chipotle founder, chairman, and co-CEO, noted in the report that Q4 2015 was the "most challenging period" in the chain’s history. However, he emphasized that the CDC announced this week it has concluded its investigation into the recent E. coli incidents. "2016 will be a very difficult year relative to our past performance," added Ells. "But, by staying true to our food culture and unique people culture, and layering on our rigorous food safety program, we are confident we are now in a position to aggressively welcome customers into our restaurants and restore customer confidence in the things that make Chipotle great." In 2015 Chipotle's full-year revenues increased just 9.6%, to $4.5 billion, way down on 2014's growth of 27.8% to $4.11 billion, but Ells said he is confident Chipotle will emerge from its crisis "an even stronger company." Chipotle execs still expect to open between 220 and 235 new sites in 2016, similar to the 229 in 2015, bringing its total restaurant count to 2,010. Chipotle announced at a recent investment conference it is planning a marketing campaign this month, including a direct mail push, to bring customers back to its restaurants. On February 8, Chipotle will close all its restaurants at lunchtime to discuss with staff what it is doing in response to the E. coli outbreak linked to its locations since October. In an SEC filing in January following a new round of illnesses recently tied to the chain and "related national media attention," Chipotle announced comparable restaurant sales dropped 37% in the week of December 21. Restaurant sales were down 30% for the full month. Chipotle also said in the filing it received a federal grand jury subpoena as part of a criminal investigation tied to a norovirus outbreak last summer at a restaurant in Simi Valley, California. The subpoena, received in December, required Chipotle to produce a range of documents. At least 53 people in nine states were afflicted by an E. coli outbreak associated with the chain, according to reports. On January 28, Chipotle was served with a subpoena broadening the scope of the previously announced criminal investigation by the U.S. Attorney’s office for the Central District of California. On the comms front, Chipotle ratcheted up its media relations efforts to spread the word about steps it is taking to mitigate the risks of food-borne illness. Chipotle is also updating a FAQ page, set up in November, with news pertaining to the crisis. The portal was last updated on December 21. The chain recently parted ways with Edelman, which it had been working with since 2008.